To meet the growing demand of sophisticated printing solutions, Essex Printing has launched diverse range of services to cater to the demand of customers. 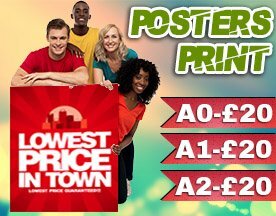 Our myriad range of products and services delivered by highly skilled and efficient professionals is the USP of our Sign Company Harlow. We design, manufacture and install a wide range of shop front signs at best possible prices. Our signs are visible and stand out from all the other signs in your vicinity and it has become an important element for progress in business. LED digital displays: Our LED digital displays make the printed background striking and help in gaining the desired attention. It has a facility to adjust the brightness from a centralized network. This kind of display is used in churches. The illumination of the backdrop of the printed material is in high demand to target the audience. It creates a long lasting impression on the minds of the prospects. The visibility of company logo printed on the board creates an impression on target audience. As the passersby get attracted towards the shop signage, they are compelled to enter the store. The beautifully crafted and lighted shop signs by Sign Company Harlow with backdrop lighting accelerate business promotion by creating a long lasting impression on the customers. Creating 3D letters requires latest techniques and technical knowhow which is being aptly done by Essex Printing. The clients select the logos and the base which are then beautifully printed. The developing of 3D letters entails a lot of creativity and training, so that high quality productivity is achieved. The various forms of letters engraved are plastic letters, metal letters, 3D molded letters, acrylic letters, aluminum letters, brass and bronze letters. 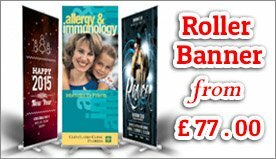 Why choose Essex printing for shop signs? We specialize in a wide range of printing activities and our shop signs play an important role in luring customers. For retail business owners, shop signs play a major role in image building with effective projection of the shop signage.